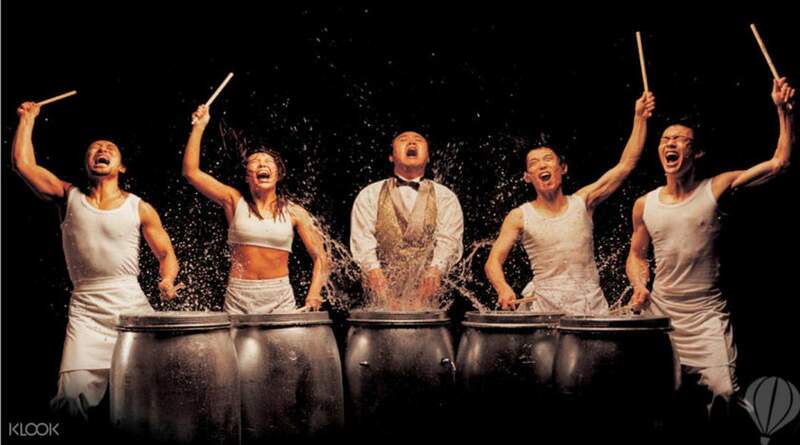 Enter this outrageous kitchen for a performance of acrobatics, comedy, and the percussion of kitchen utensils! The non-verbal show and use of mime means language barriers are not a problem! the show is so much fun! from the beginning til d end. and the location is so convenient & easy to find..highly recommended! A show blending acrobatics, martial arts, music and culinary skills – that's got to be a unique combination! 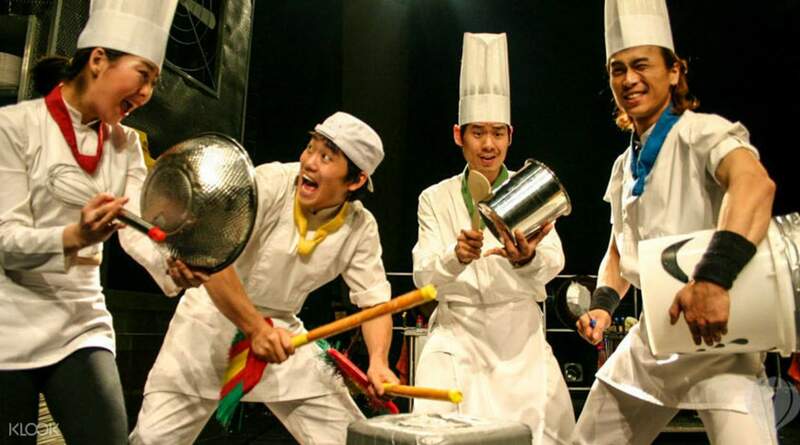 The talented troupe of Korean performers cook up a storm in the on-stage kitchen giving the audience a taste of Korean culinary lunacy, sliced and diced to percussive perfection. 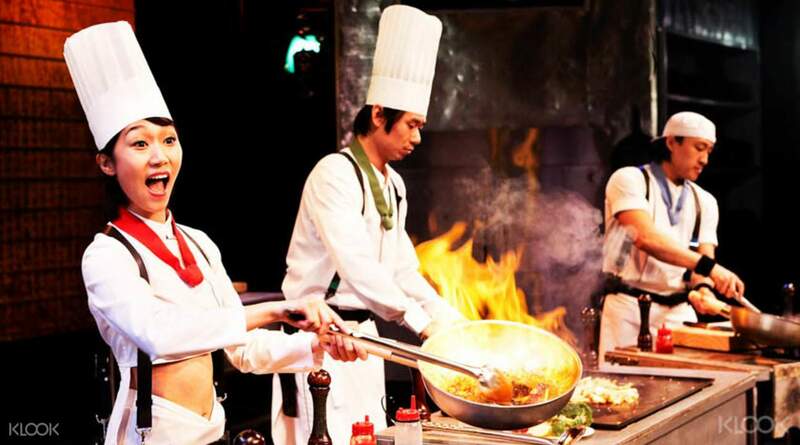 This captivating 90 minute performance is the longest running show in Korean history, displaying the comedic culinary attempts of four cooks under pressure. Nanta combines the rhythms from Korean folk songs with modern music, creating a non-verbal performance that's accessible to an international audience. 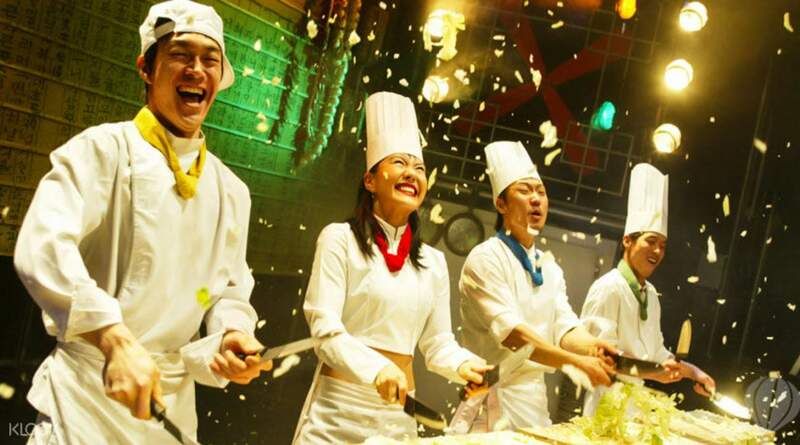 Spectators are even encouraged on stage – you could be the bride or groom at a traditional wedding ceremony, or compete in a dumpling-piling competition! Experience the energy in this Korean kitchen for yourself! Wheelchair seating is available on site. If you need a wheelchair seat, please indicate your request at checkout. NANTA SHOW THE BEST EVER! My son eleven years old, my daughter is nine years old and five years old laughed from the start of the show till the end. Pack with action and comedy. Me and my family go the Myeong-dong Theatre and the place are easy to find. The show is about one and half hours! Highly Recommend for all! NANTA SHOW THE BEST EVER! My son eleven years old, my daughter is nine years old and five years old laughed from the start of the show till the end. Pack with action and comedy. Me and my family go the Myeong-dong Theatre and the place are easy to find. The show is about one and half hours! Highly Recommend for all! Lolz.. I assumed it to be boring but boy was I wrong.. Just go with no expectation and I bet you will enjoyed the laughs, jokes and expressions... Just a kind reminder for those who are big size like me about us size20.. Please be reminded the chair is very narrow and not giving. I had to put my hubs backpack behind of me to stablize my seating while seating at the edge of the chair. .. Do ask for a seat that doesn't have any seat in front as it would allow you to have a bit of space to at least enjoy the show comfortably.. Any bigger, I honestly would say it is not possible to sit and enjoy the show.. Cheer.. Lolz.. I assumed it to be boring but boy was I wrong.. Just go with no expectation and I bet you will enjoyed the laughs, jokes and expressions... Just a kind reminder for those who are big size like me about us size20.. Please be reminded the chair is very narrow and not giving. I had to put my hubs backpack behind of me to stablize my seating while seating at the edge of the chair. .. Do ask for a seat that doesn't have any seat in front as it would allow you to have a bit of space to at least enjoy the show comfortably.. Any bigger, I honestly would say it is not possible to sit and enjoy the show.. Cheer..
very very funny show that requires has no language barriers. however, we gotten lost when we were searching for the place. the place is actually located on another side of the nanta show office. very very funny show that requires has no language barriers. however, we gotten lost when we were searching for the place. the place is actually located on another side of the nanta show office. This is definitely a different and extraordinary show that I have ever seen before. 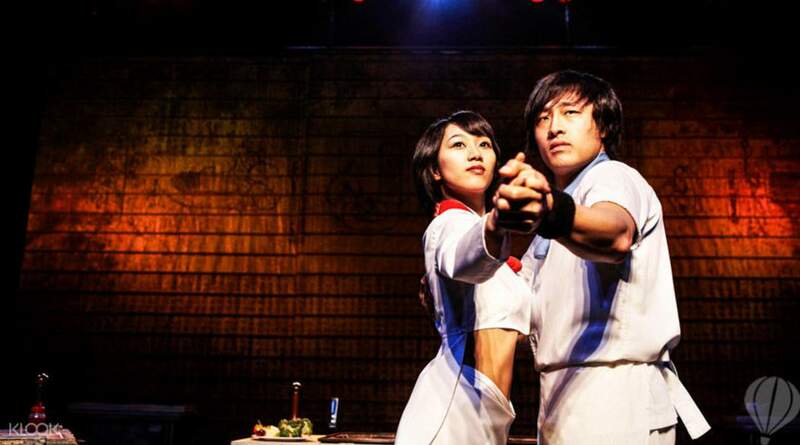 Love the show so much as they involved the audience in their performance in order for the audience to have a good experience or Korean tradition. It is really interesting. The performers also very energetic and funny. This is definitely a different and extraordinary show that I have ever seen before. Love the show so much as they involved the audience in their performance in order for the audience to have a good experience or Korean tradition. It is really interesting. The performers also very energetic and funny. The show is fantastic and professional. All jobs related with kitchen and more funny actions to attract audiences. The show is fantastic and professional. All jobs related with kitchen and more funny actions to attract audiences. We went early to redeem the tix, it was a nice show. The place is not at Myeongdong Theatre. It is inside UNESCO building 3rd floor. We went early to redeem the tix, it was a nice show. The place is not at Myeongdong Theatre. It is inside UNESCO building 3rd floor. Totally unexpected material. I thought it was only a cooking show. But i was wrong. it is hilarious and entertaining. Totally enjoyed it ! Totally unexpected material. I thought it was only a cooking show. But i was wrong. it is hilarious and entertaining. Totally enjoyed it ! The show is amazing! Lucky we book it. And that's a great price deal on klook. My 4 year old daughter love it very much. We have a wonderful night. The show is amazing! Lucky we book it. And that's a great price deal on klook. My 4 year old daughter love it very much. We have a wonderful night. Impressive! A MUST go if you are going Korea! Very entertaining, high energy and engaging. Your kids will love it too. Impressive! A MUST go if you are going Korea! Very entertaining, high energy and engaging. Your kids will love it too. Q: Can I select seats when making the reservation? A: Seating is assigned automatically by the system. Q: I want to sit with my friends/family, but we purchased the tickets separately, can I request to be seated together? A: Seating is assigned automatically by the system. Your best chance for sitting together is to make sure all the bookings are made on a single order.